The first civilian ship built under the federal government’s marquee shipbuilding program will have portions of its hull re-welded because an inspection has uncovered a series of defective joints, CBC News has learned. 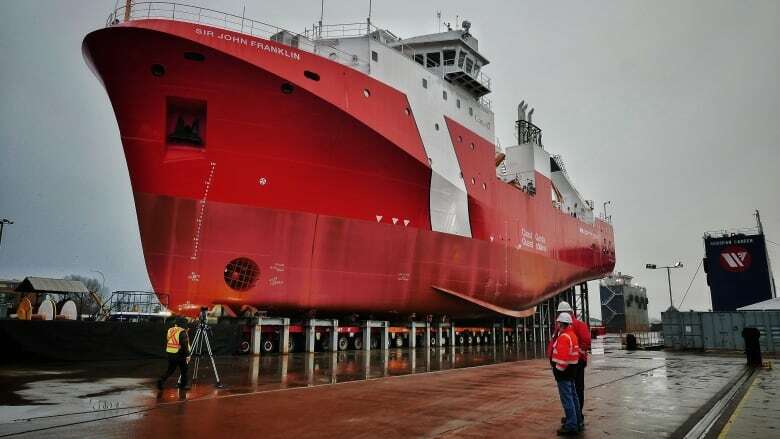 The first civilian ship built under the federal government's marquee shipbuilding program will have portions of its hull re-welded because an inspection has uncovered a series of defective joints, CBC News has learned. Up to 44 metres of welds on the Canadian Coast Guard Ship Sir John Franklin — which was launched only last December and has not yet entered service — will be repaired before it is handed over to the federal government early next year. It is one of three offshore fisheries science vessels being constructed by Seaspan in Vancouver. All three vessels were found to have the same defect — meaning all three will have to be re-welded in spots before entering service. The company is still investigating how the faults happened, with the help of outside experts. But officials downplayed the significance, saying welding problems occur on all projects and the extent of the overhaul represents just under five per cent of the joints on the Sir John Franklin. "While defects are unwelcome, they are far from uncommon in shipbuilding," said Tim Page, vice-president of government relations at Seaspan. It is a setback for the $687 million program and it comes as the federal government considers a "refresh" of its shipbuilding policy. It also could provide new ammunition for critics who have argued the federal government should be buying more of its ships offshore at more experienced construction yards. Seaspan is one of two federally designated ship construction yards. The three science ships, intended to monitor the health of fish stocks, represent the first wave of 17 civilian-grade vessels — worth $7 billion — to be constructed on the West Coast. Irving Shipbuilding, in Halifax, is the other yard, where combat vessels are being constructed. The microscopic welding cracks initially were discovered three months ago on one of the science vessels, which is still under construction in North Vancouver. A coast guard team monitoring construction flagged the issue as part of a detailed review, the company acknowledged. It was spotted after the first two ships, including the Franklin, had passed their initial inspections. Subsequent retesting on all three vessels turned up the same fault. The defects were traced to a semi-automated welding system installed as part of the shipyard's multi-million dollar upgrade. Whether the problem was due to human error or equipment failure is not clear, but the company said it has switched to another welding method for the time being. The defect rate — at just under five per cent — is near the upper end of shipbuilding industry convention. "We're slightly above where we should be, which is not welcome, but it shouldn't be a surprise in a new shipyard with a maturing industry," said Page. "With all of the weld tests we're doing on the Sir John Franklin, she will be the most weld-tested ship anywhere in the world." The Franklin — named for the famed Royal Navy Arctic explorer Sir John Franklin — has been pulled from the water in Victoria, B.C., where it was towed for outfitting and sea trials. The 63 metre vessel was launched with much fanfare last December in Vancouver. At the time, the former chief executive officer of Seaspan expressed pride in the accomplishment. "We keep learning from building the first. It makes us more efficient on the second and third," said Brian Carter, who recently stepped down from the shipyard's top job. The other two fisheries vessels are still in North Vancouver; one was scheduled for launch this summer and the other was expected to hit the water next year. The company said that, "at the moment," it does not anticipate a delay in handing over the Franklin, but it is unclear how other projects at the yard — including the navy's two joint support ships — might be affected. The cost of the repairs will be borne by Seaspan. An expert in ship design said welding defects are serious and should be addressed at the outset, but won't lead to immediate leaks or the structural failure. "When you have a lot of cracks, there's potential over the life of the ship for those cracks to grow and then to join into other cracks, and then they become big cracks and there's more of an issue," said Ian Braidwood, who holds a doctorate in marine engineering at the University of British Columbia's Department of Naval Architecture and Marine Engineering. Earlier this week, CBC News reported the federal government is planning a "refresh" of its shipbuilding strategy. The federal Department of Finance prepared a 25-page briefing on the plan and its fiscal implications; a heavily redacted version was released under Access to Information legislation. The cracked welds on the fisheries science vessels should serve as an object lesson for those overseeing the programs, said a procurement expert. 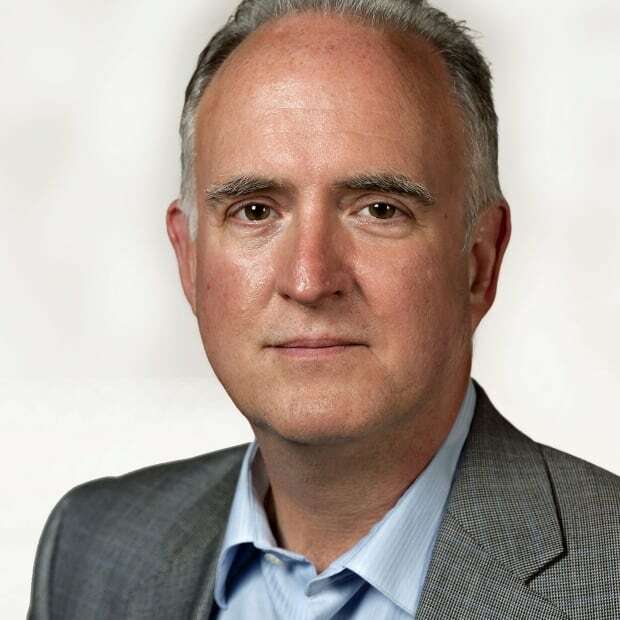 "I think it should definitely strengthen the call to have the government refresh it and take a hard look at its approach for managing these contracts," said Dave Perry of the Canadian Global Affairs Institute. "On a project like this, you should be expecting some degree of problems. It's just a question of how significant they are and whether or not they're the types of things that generally tend to happen on projects like this — or if they're kind of out of the ordinary." A spokesman for Public Services and Procurement Canada said the shipyard still has the government's full confidence. "Welding issues are not uncommon, and we are confident that [Vancouver Shipyard] will take all necessary steps to make any necessary repairs and lessons learned on [fisheries science vessels] will be applied going forward," said Jean-François Letourneau in an email. The issue did catch the attention of the navy, which is waiting for Seaspan to build its supply ships. 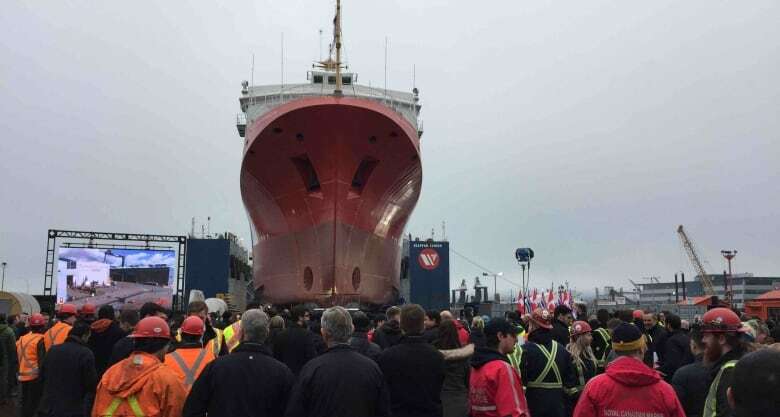 Letourneau said National Defence has asked the company to examine its welding procedures for the joint support ships to ensure there won't be a repeat.